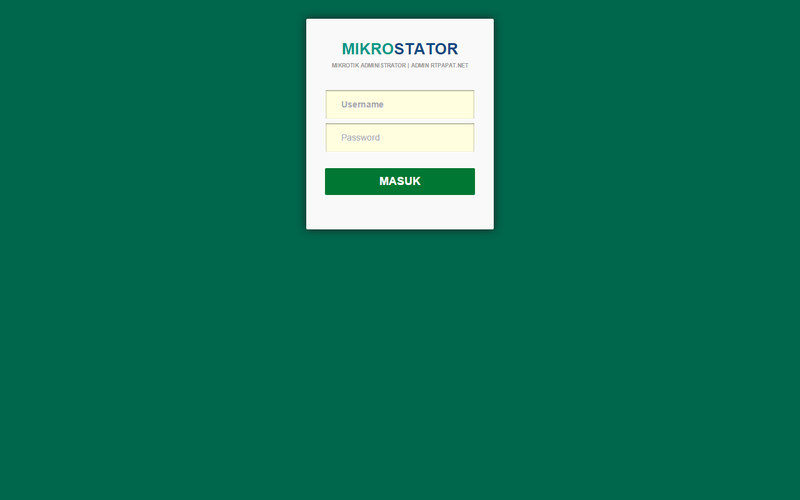 MIKROSTATOR is an application used to perform administration on Internet network that uses routers mikrotik. This administration like billing in the internet cafe (warnet). This application can monitor users who are online in real time according to the interval setting time given. MIKROSTATOR is a web-based application that serves to mikrotik hotspot management. 2 Responses to "About MIKROSTATOR"